Cycling Weekly’s Premier Calendar post-race debrief is the place to catch up on what you’ve missed from last weekend’s Tour DoonHame. With analysis, rider interviews and video highlights, you can be sure you’ll know exactly what happened in Scotland over the Easter weekend. It was a result as seemingly as predictable as the continual rain which soaked the riders to their skin over the Easter Weekend in Scotland. However, if anyone claims Endura’s clean-sweep of stages, the top three on GC and the two jerseys on offer (plus the team prize) showed how strong they are in 2012, they’re wrong. We knew that already. It emphasised it. Jonny McEvoy won two stages here twelve months ago, and his blistering attack was not only reminiscent of that from the Canary Wharf Tour Series round last June, but worthy of claiming the overall victory. This was a quality display, even more so than that of his team-mates Erick Rowsell and Scott Thwaites, who looked assured and confident as they claimed stage one and two respectively. DS Julian Winn told Cycling Weekly on Sunday morning that the race was all about numbers – getting men in the breakaway groups. After the Girvan crit on Sunday afternoon – when then GC leader Rowsell had 11 seconds in hand over his nearest rival, with Thwaites and McEvoy lurking behind – he warned of complacency. After all, he knows the British scene rather well. He must know that Endura will be beaten soon. There is simply too much quality in the domestic peloton this year. No-one can accuse IG-Sigma Sport, Node4-Giordana and Raleigh-GAC of not getting the numbers in the breakaways. It was Rapha-Condor-Sharp’s Richard Handley who split the large leading group on stage one to just three when he attacked on the second-category Tairlaw Summit. Perfs Pedal winner Chris Opie could have won for UK Youth in Sunday’s crit* had he have been higher up the bunch coming into the final straight. 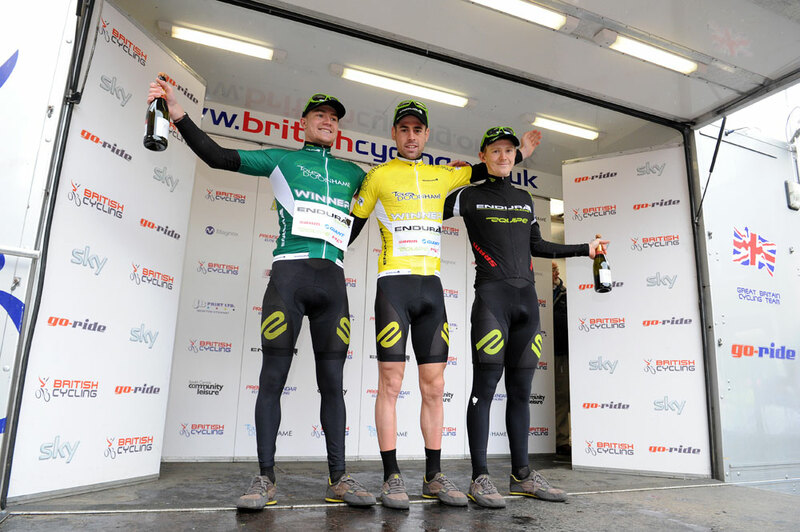 Whether it be at the Rutland-Melton CiCLE Classic at the end of the month, or the back-to-back Premier Calendar rounds that get the busy month of May underway, it will be nothing short of spectacular if Endura keep this up. to me; you wouldn’t know how hard it is to talk to the riders when it’s windy and raining hard. I watched @dean0downing crash today, but it turned into a comedy roll! Not sure if it was out of boredom?